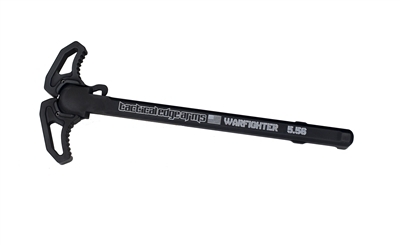 Our all-new WARFIGHTER MOD2 charging handle is one of the most durable, effective and ergonomically correct charging handles on the market. Features a lip on the underside to help mitigate gas away from your face when using suppressed weapons. Will work on all .308 AR10 rifles. Our all-new WARFIGHTER MOD2 AMBI charging handle is one of the most durable, effective and ergonomically correct charging handles on the market. Features a lip on the underside to help mitigate gas away from your face when using suppressed weapons. Will work on all 5.56 AR15/M4 rifles.